Ad jingles have a way of playing and staying in our minds long after the commercials and campaigns have ended. This is why these catchy songs have been such powerful marketing tools for more than 60 years. Jingles truly became an art form in the 1950s as television became a fixture in American homes and they’ve been a beloved part of the advertising landscape ever since. Some of these lively songs left a lasting impression, sometimes decades after their original airing. 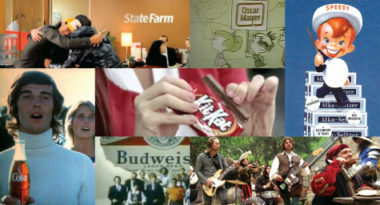 From Oscar Mayer’s hot dog ditty to Alka-Seltzer’s fizzy fun tune and Coca-Cola’s hilltop melody, MSN.com listed their leading jingles to offer a musical memoir of advertising at its best. Check out their gallery of the greatest. Give your advertising a creative spin for maximum memorability. Contact MDG Advertising today at 561-338-7797 or visit mdgadvertising.com. MDG Advertising is a full-service advertising agency and one of Florida’s top creative ad agencies. With offices in Boca Raton, FL and New York, NY, MDG’s core capabilities include branding, logo design, print advertising, TV and radio, jingle writing, media planning and buying, digital marketing, mobile marketing, email marketing, video ads, Web design and development, content marketing, social media marketing, and SEO. To learn more about the latest trends in advertising, contact MDG Advertising today at 561-338-7797 or click here to listen to MDG’s jingle for the South Florida Fair.